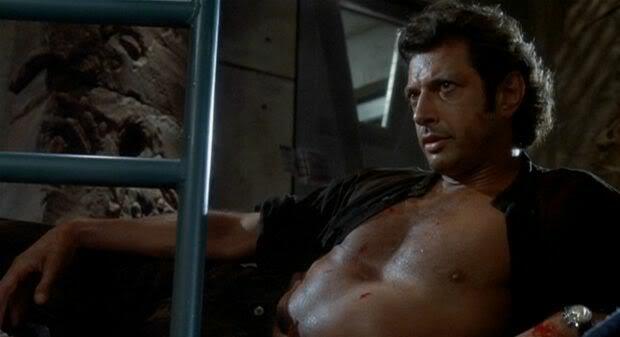 After the CG dinosaurs and “clever girl,” I think there’s one other thing we all remember from Jurassic Park. I’m pleased to be able to say that the LEGO Jurassic World gameplay trailer gives us a glimpse of LEGO Jeff Goldblum’s handsome front-rug. LEGO Jurassic World is one of those titles that includes all of the films in one game, so you’ll be playing through the storylines of Jurassic Park: The Lost World and Jurassic Park III as well. Whether you want to or not. Since Jurassic World isn’t out yet, and those other two Jurassic Park films are … not so hot, you can understand why this trailer would focus mostly on the famous one. The game itself will be released in June 2015, which I believe handily coincides with the Jurassic World release date.